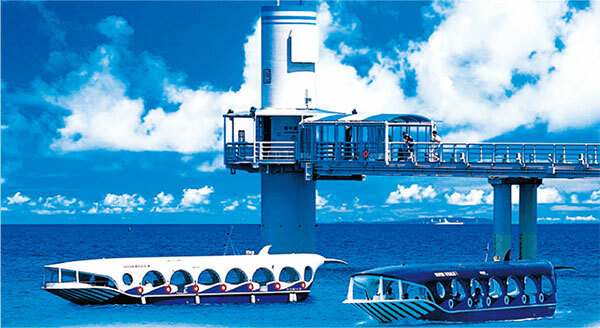 At the only underwater observatory on the Okinawa main island, you don’t have to get wet to see tropical fish in action. 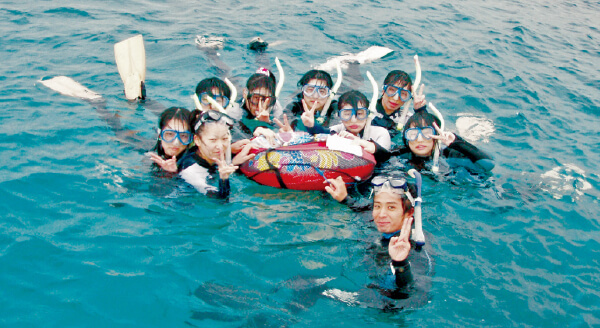 Another popular activity is a promenade over the sea in a whale-shaped glass bottom boat. 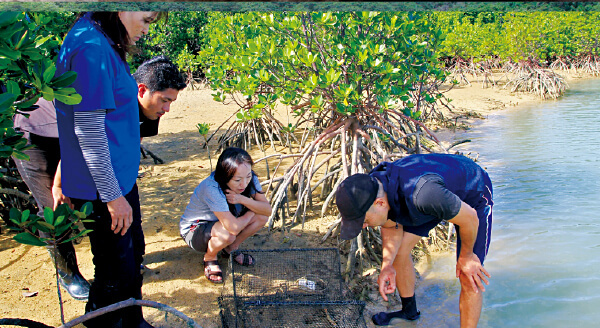 Students observe inoh (coastal shallows enclosed by coral reefs) where a variety of rare creatures live to learn about the ecosystem of the beautiful sea and environmental issues. 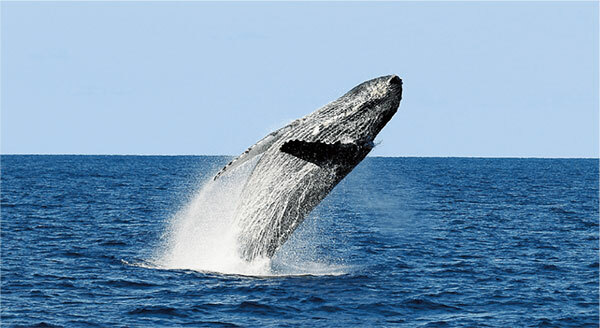 From December to April every year, the whale watching tour offers people the opportunity to see humpback whales that have returned to the waters around Zamami Island. 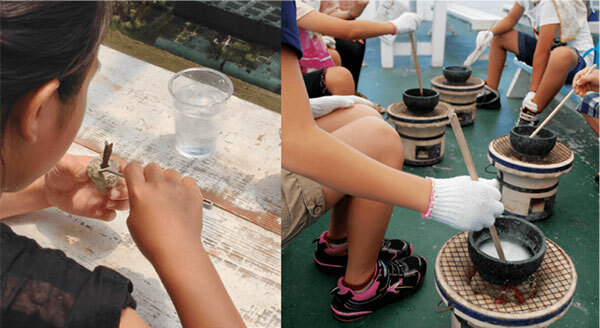 At Gala Aoi Umi, visitors have the chance to prune coral branches and plant coral seedlings set in artificial bedrock. They can also try their hand at making salt and take it home with them. The facility also has a café on the grounds. Visitors explore a limestone cave, which formed over 300,000 years and is designated as a natural monument. 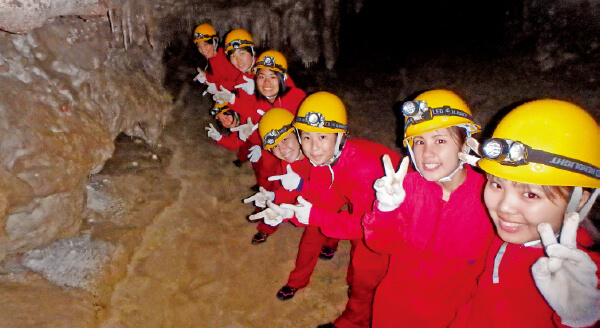 With a special “southern island cave exploration” plan, tours are also offered to go into the closed areas. 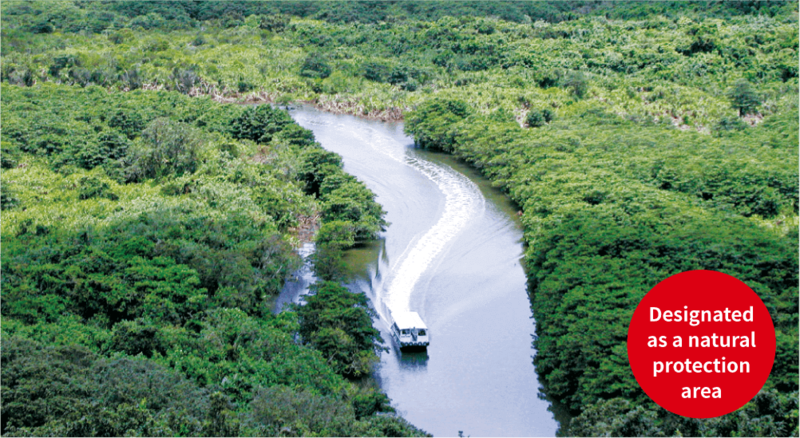 A leisurely boat cruise takes visitors along the Nakama River on Iriomote Island where the largest mangrove forest in Japan can be found. Trekking and canoeing along the Urauchi River are also popular. Guided by crab fishermen who know all the inlets around Irabu Island, visitors can take a tour on which they bring up crab pots set along the tidal flats and mangrove forest. “Visitor capacity” indicates the maximum number of people allowed into a facility at one time. “Barrier-free” indicates whether or not the facility provides wheelchair access.